In parallel with the goal of increasing efficiency, energy requirements of the two stations are guided via computer controlled monitoring of meteorological conditions, internal building temperature control and electric load peak shaving devices. 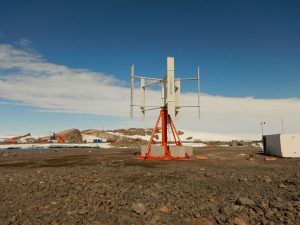 Hence power consumption at Dumont d’Urville and Concordia is amongst the lowest recorded on Antarctic stations of similar population. After reduction in consumption, increasing yield and research into energy efficiency, the development of renewable energy systems provides solutions in terms of actual energy production. 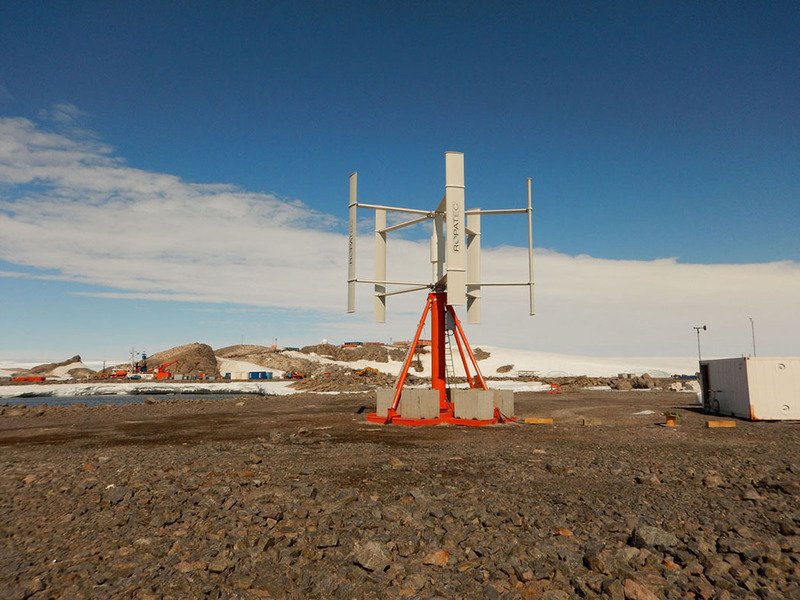 In the context of these Antarctic sites, realistic sources are solar (direct production of electrical or thermal energy) and wind (potential mechanical energy). 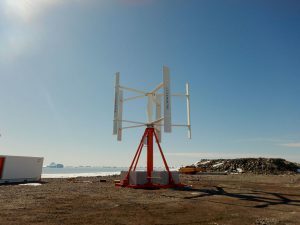 In Antarctica, the use of renewable energy is particularly pertinent, since a diminution in fossil fuel consumption not only reduces all the logistics associated with transport and storage of fuels, but also limits risk of pollution via gaseous emissions and accidental environmental spillage. Even low capacity installations are beneficial as every Kwh produced is a free KWh. Initially, renewable energy installations complement conventional fossil fuel technologies, but as they become more powerful, they can supplant conventional installations and become the nominal energy production mode. There is no universal solution, but a range of solutions adapted to the environmental conditions. Thus, conditions at Dumont d’Urville show that wind energy is most appropriate for that site, whilst Concordia lends itself more readily to systems exploiting solar radiation. Projects using these two renewable energies are currently being installed. A 20kw wind turbine (Ropatec Megastar, vertical axis) has been installed at the Dumont d’Urville site. A 40 kw solar field (with connection equipment sized for 200kw) has been purchased for Concordia.